ONLINE SHOP NOW OPEN - CLICK HERE!! Visit Our Online Store for all your Shoe Care needs. Famaco is a premium wax shoe polish with added beeswax. It gives a superb result and is highly recommended by Isaac for all types of leather footwear. This box is great for storing all your shoe care products and gives off the natural cedar wood smell. The perfect brush and cloth combination. Horsehair brushes and cloth. Leather and textile cleaner. Ideal for leather seats and carpets. Cleans gently, does not bleach. For all smooth leather surfaces as well as perforated leathers, alcantara and mixed textile fabrics. Solvent free. The original Kiwi shoe polish in 50ml tins. These heel stoppers save your high heels from getting damaged. They are ideal for grass, decking, gravel and any loose terrain that you might have to walk on. Slip on and off when needed. Waterproof your leather with Mink Oil. Conditioning for smooth and suede leather. Waterproofing gel which is a repellent to dirt and moisture. Recommended by leading handbag companies. Pump action. 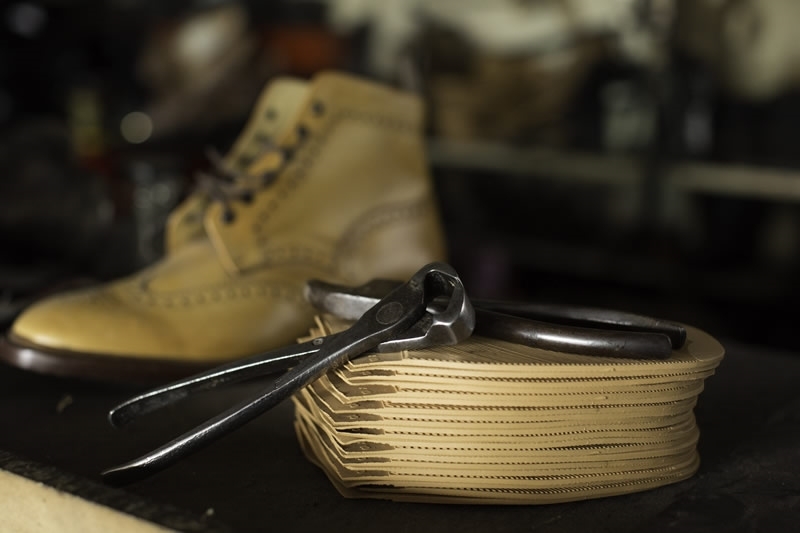 Quality repairs for all kinds of shoes, bags and leather goods. We can replace zips and use only the finest YKK zips. Repair Handbags and travel bags. Stitching is a speciality of Isaac’s with all manner of rips and tears being repaired. Isaac has many types of stitching machines to do the most professional repair possible. The Goodyear outsole stitching machine for the welted footwear and the Lockstitch insole stitching machine for the none welted construction not to mention the long arm Singer machine for all the leather upper repairs. The return repair service means anyone can simply send their goods to be repaired via post.